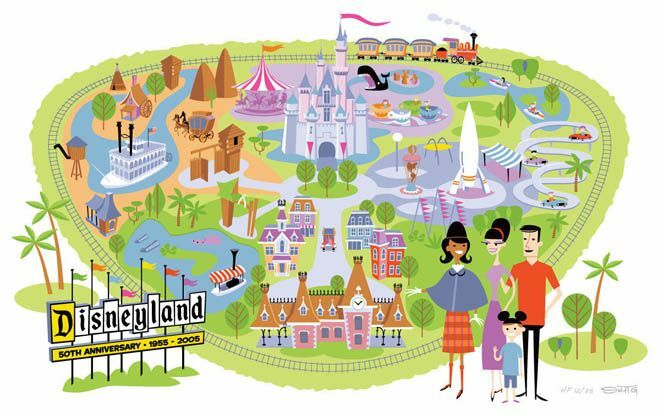 Josh Agle continued his 2005 collaboration with Disneyland by celebrating their 50th anniversary with the creation of a Disneyland 50th: Park Map. 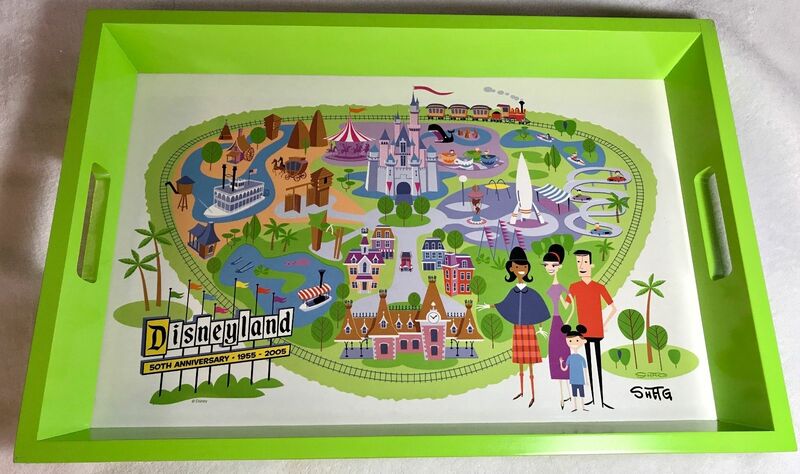 This impressively large image was to be launched at an event on September 24th but was moved back to Saturday, November 12th from 10am-12pm and 1:30pm to 3:30pm at the Disneyana Shop on Main Street, USA in Disneyworld, California. 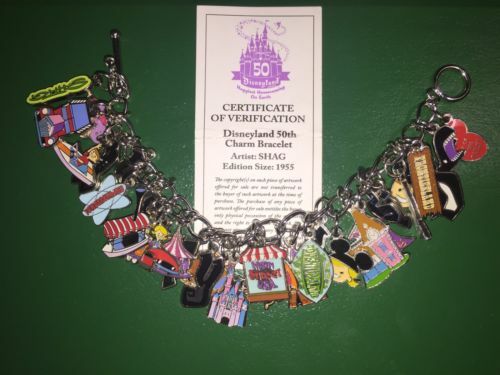 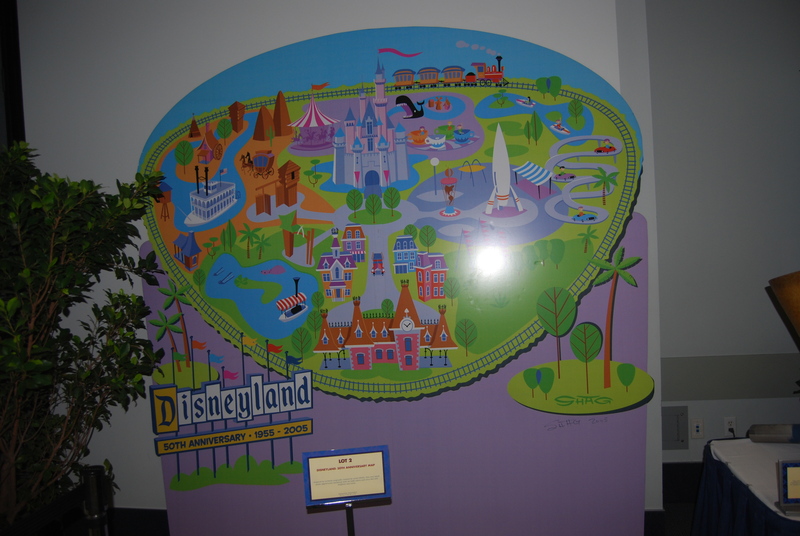 The reason behind delaying the Disneyland 50th: Park Map event was not given but Shag hinted at the reason when he said “The Disneyland Map is probably the most complicated and detailed painting I’ve ever done. 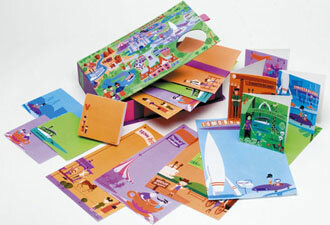 It’s really like a combination of 20 or 25 little paintings“. 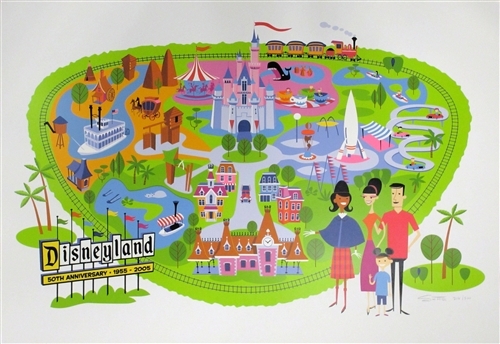 The Disneyland 50th: Park Map was released as a 24-color serigraph print measuring 24 3/4″ by 40″ (image)/ 27.5″ by 42.5″ (paper). 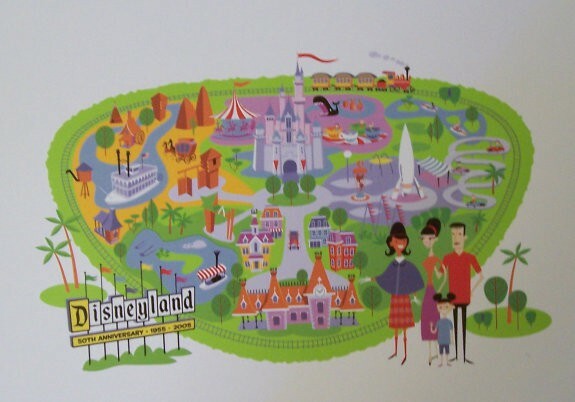 The map was produced in a limited edition of 300 copies (plus 35 artist proofs and 10 printer proofs), and originally retailed for $400 USD. 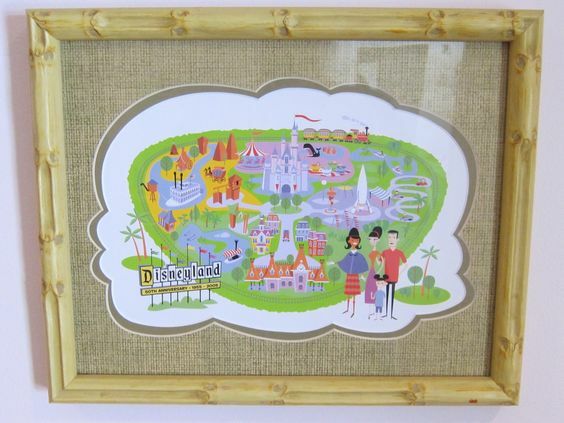 The limited edition Disneyland 50th: Park Map could also be framed by the Disneyland Framers if you bought directly from Disneyana in the Disneyland park. 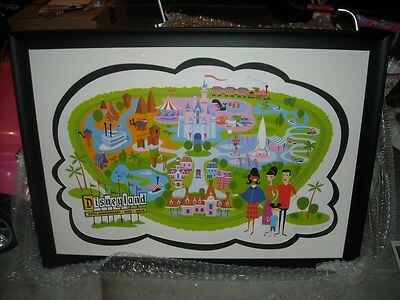 This custom matted piece looks stunning and different from the standard picture. 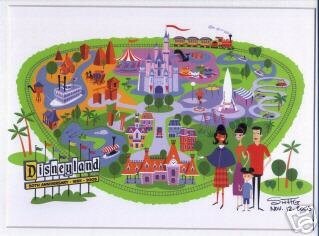 The Disneyland 50th: Park Map was also released as an open edition, matted 11” by 14” petite print and retailed at $18 USD. 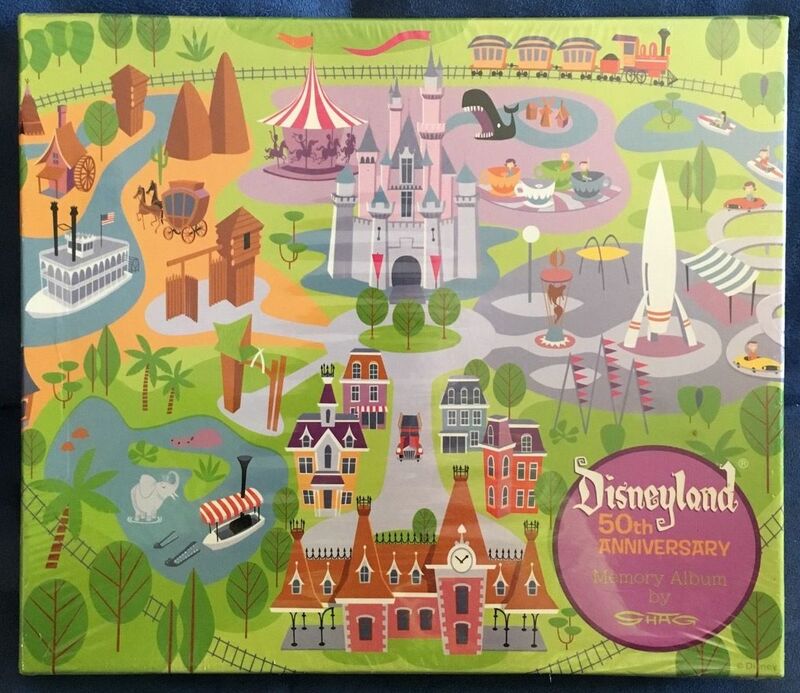 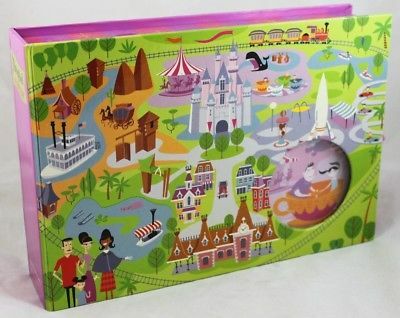 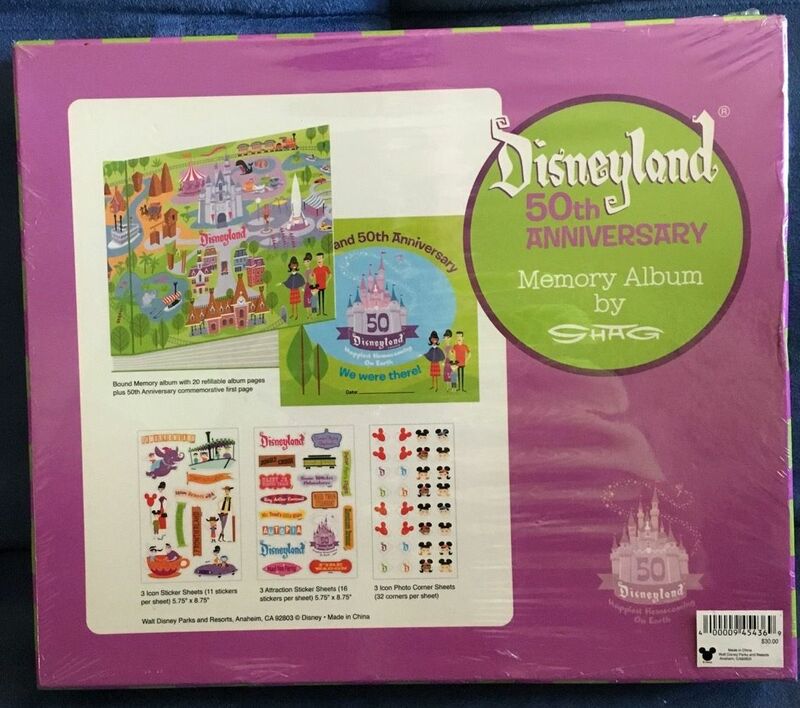 A mouse pad of the Disneyland 50th: Park Map was produced measuring 9” by 6”. 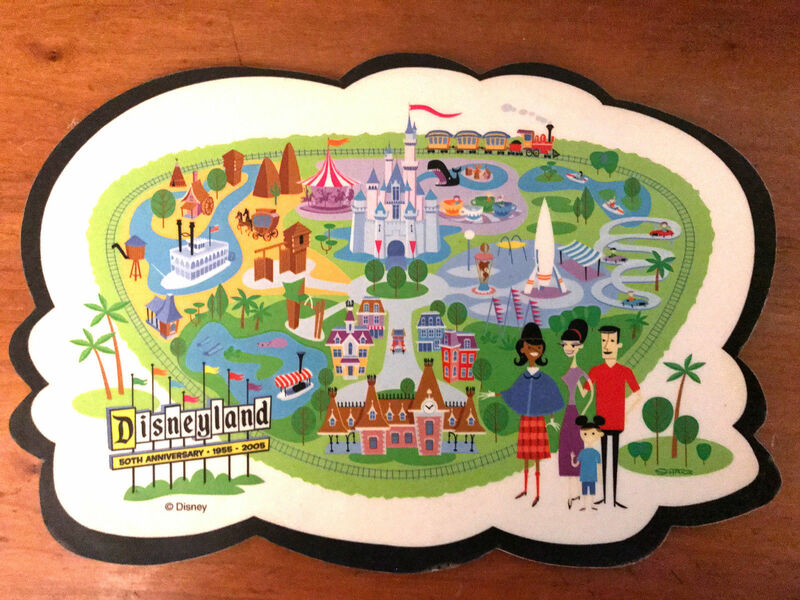 The Disneyland 50th: Park Map wooden tray measures 18” long by 12.25” wide by 2.25” deep. 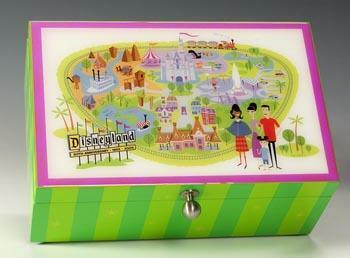 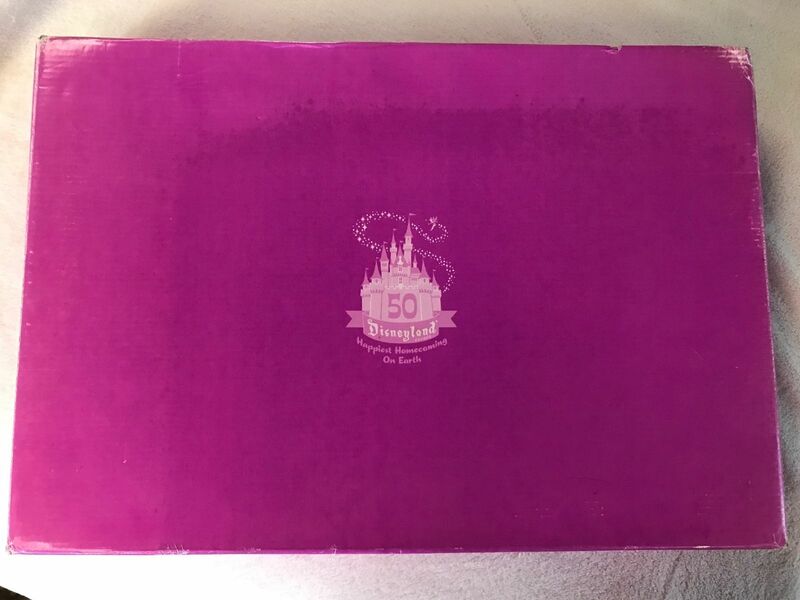 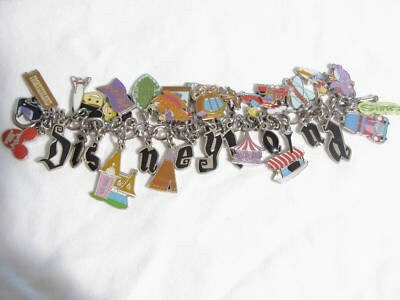 A Disneyland 50th: Park Map keepsake box was created measuring 10” wide by 6.5” deep by 4.5” tall. 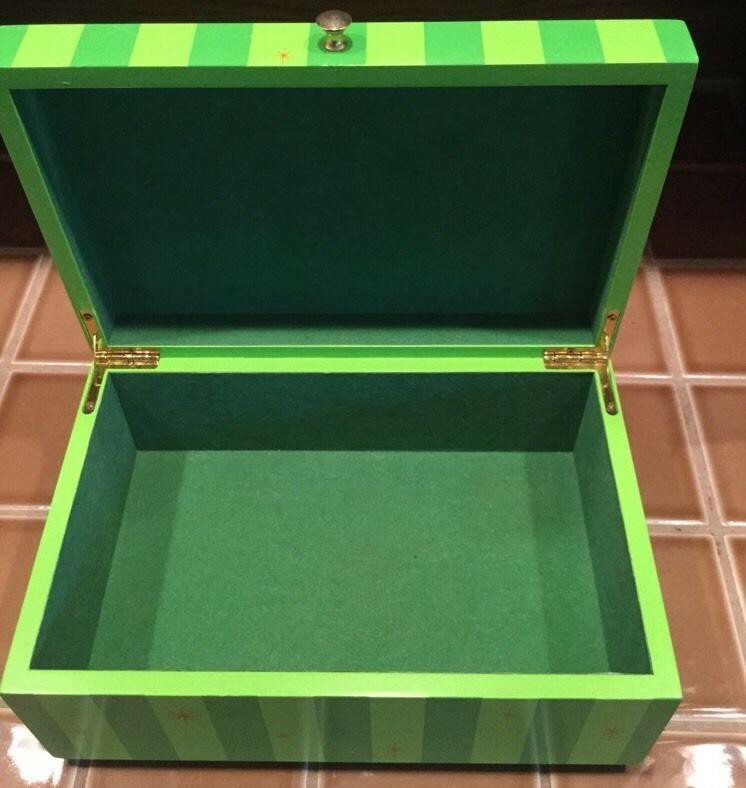 The box retailed at $48 USD. 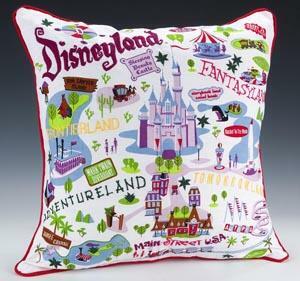 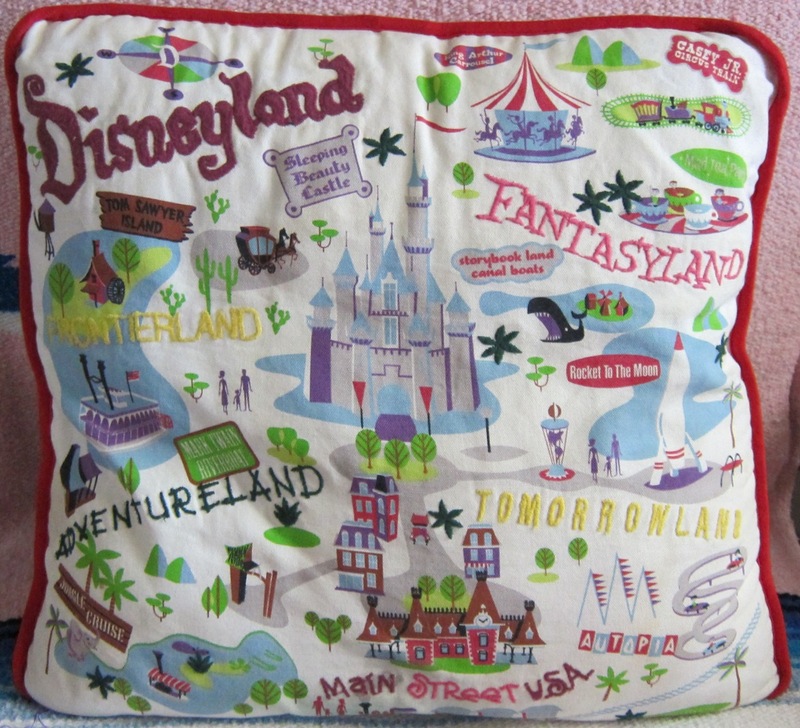 A Disneyland 50th: Park Map pillow was created using images from the map and retailed at $58 USD. 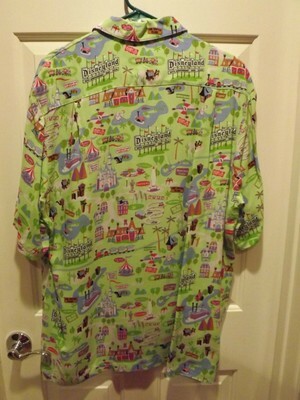 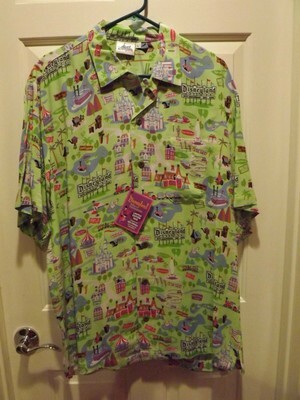 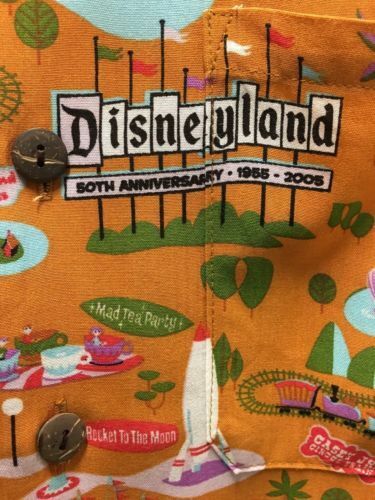 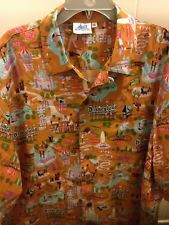 Two Disneyland 50th Anniversary Aloha Shirts were manufactured in a limited edition of 500 and retailed at $68 USD. 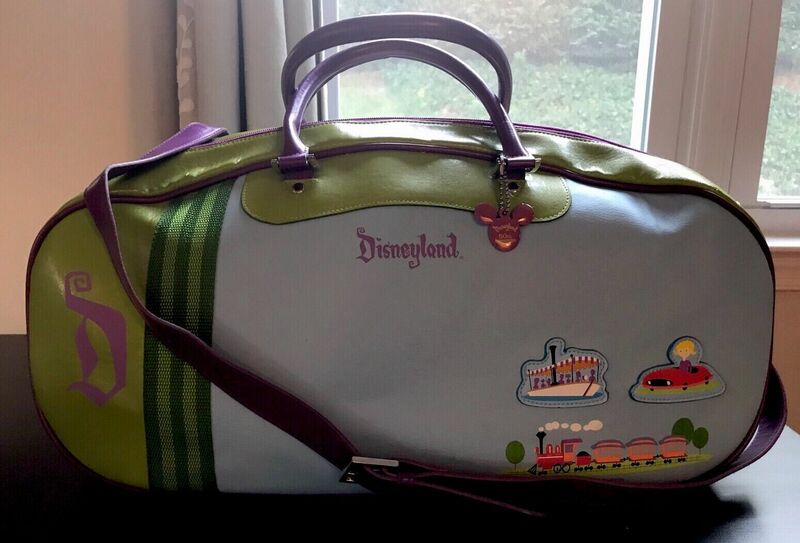 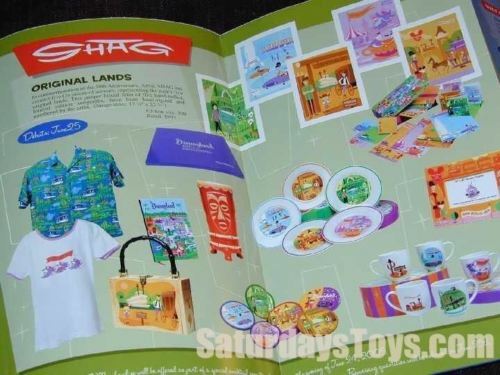 A Disneyland 50th Anniversary Carry All Bag was created based on Shag’s artwork and released in 2005 for $65 USD. 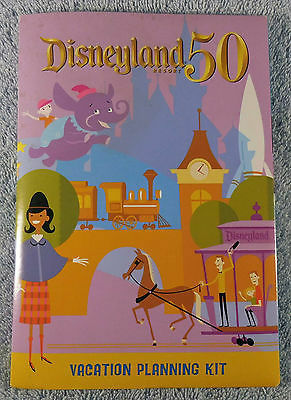 A Disneyland 50th Anniversary Arts & Collectables Catalogue was produced to show available merchandise (including Shag’s). 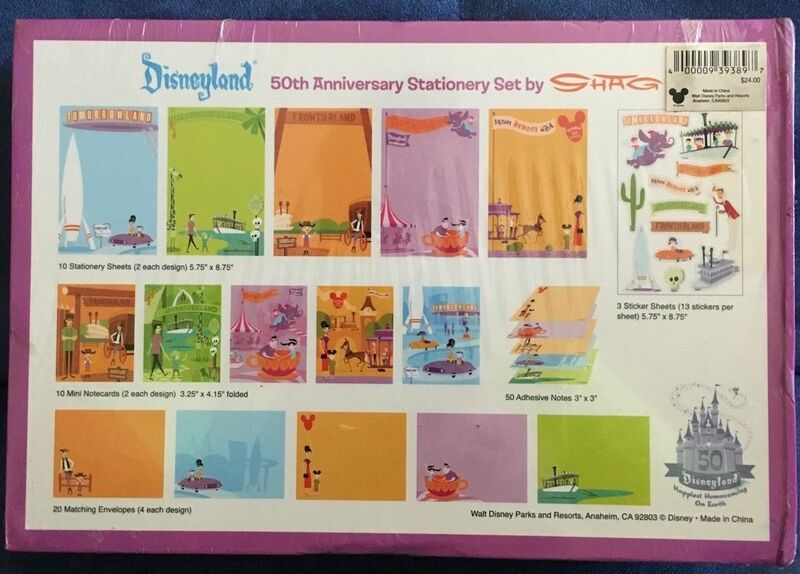 The booklet measured 10″ by 6″. 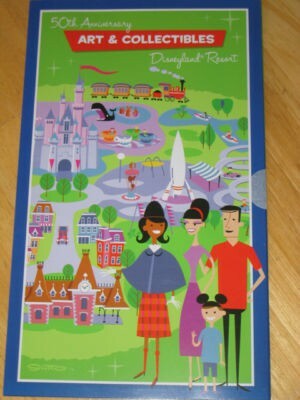 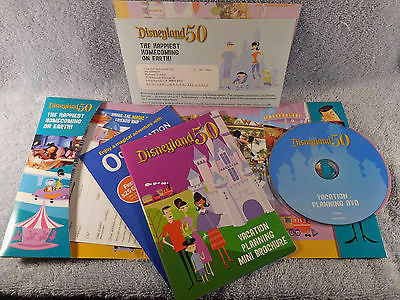 A vacation planning kit was produced to help people to organize a Disneyland visit during 2005. 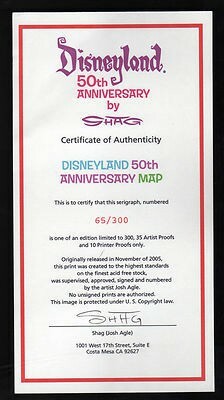 An over sized “photo opportunity” Disneyland 50th: Park Map backdrop signed by SHAG sold at the D23 Expo for $750. 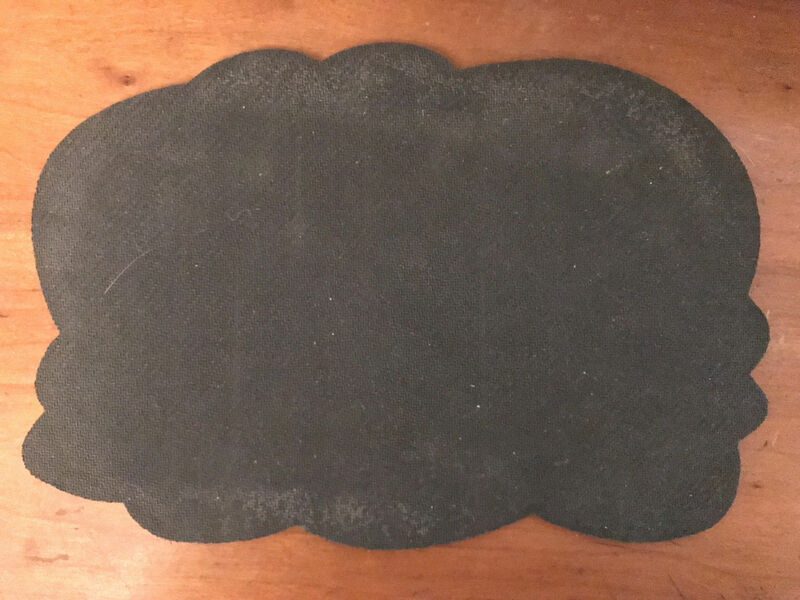 This is covered in the Medusa – a journey from Shag’s brush to the auction block post.